Brooklyn-born Zechariah Baumel was an IDF tank commander who, along with five others, was listed missing in action (MIA) in the Battle of Sultan Yacoub in Lebanon on June 11, 1982, at the end of the war between Lebanon and Israel. Twenty one soldiers were killed in the battle that was considered a major failure on the part of Israeli intelligence. Baumel, Yehuda Katz, and Zvi Feldman were seen by a Time magazine reporter when they were paraded through Damascus on top of their captured tank. It was later confirmed that one IDF MIA was captured by the Syrians and freed two years later. Another was captured by a terrorist organization and freed via a prisoner exchange deal that took place three years later. 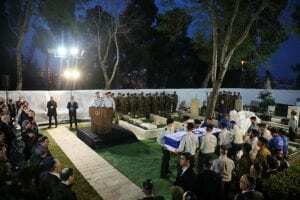 During all of these years, the State of Israel invested vast efforts in solving the riddle of his fate and those of his two comrades from that battle, Zvi Feldman and Yehuda Katz. Zachary’s bones, which were brought to Israel, were positively identified. With them were also found his tank jump-suit and his tzitzit . Soon Zachary will be brought to his eternal resting place with a Jewish burial. This is consistent with a report in September that Russian military worked with Israel on an operation to locate the remains of fallen IDF soldiers inside Islamic State (ISIS) held territory in Syria. The Russian military made a statement at the time, describing the operation in which a Russian officer was injured. DNA tests conducted in Israel confirmed the identity, after which the body was turned over to family members. 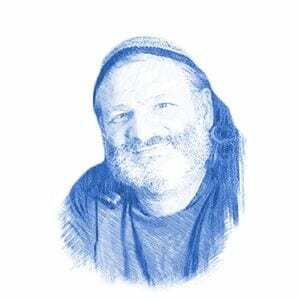 Baumel’s funeral will take place on Thursday at 7pm at the military cemetery on Mount Herzl in Jerusalem.